Lady Admiranda Howard will be hosting a garb get together at her home in Orono, Maine on Sunday, December 3, 2017. The workshop will start at 10 AM and will run until 4 PM. This is an opportunity to work on your new SCA garb or to swing by and get help & inspiration for a new project. 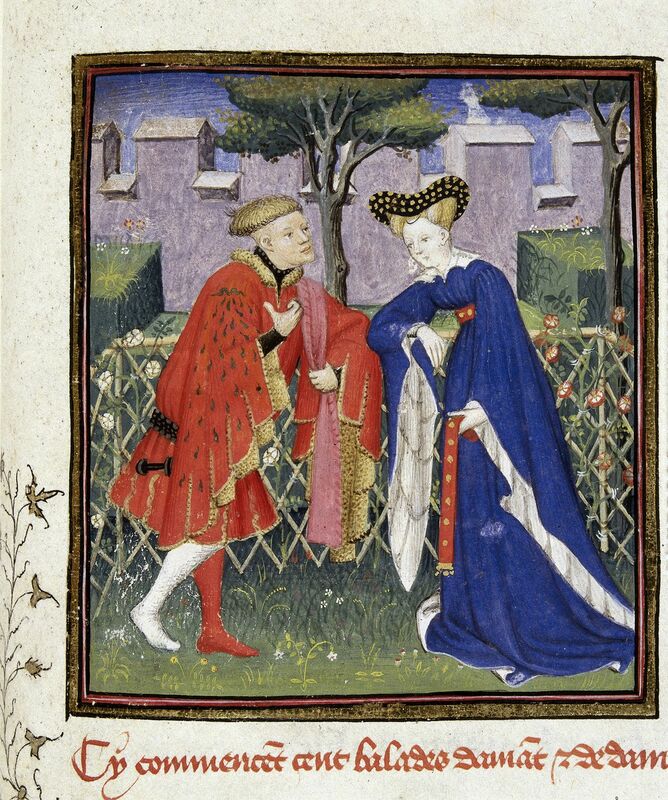 With three winter events coming up in 2018 in the Barony of Endewearde, East Kingdom Twelfth Night (Jan. 6) the Feast of Saint Sylvester (Jan. 13) and the Tourney of Love (Feb. 10) there is ample opportunity to dress in your fanciest court garb. If you read the Garb Get Together event page on facebook you can ask questions and learn more about the workshop prior to December 3rd. Here are some changes to the usual Barony of Endewearde activities coming up this week and throughout the summer you may want to be aware of as you plan your family recreational time. Medieval novice and experienced artisans meet on Sundays at the Bangor Housing Authority, 161 Davis Road in Bangor, Maine from 4:00-7:00 PM. Whether you are interested in learning about the wide variety of projects appropriate for the Middle Ages or are an experienced artisan, please feel free to join those gathering at the kitchen table just off the main gym floor or outside in fair weather. Sunday, July 2: There will be a heavy list and rapier combat practice at the Bangor Housing Authority, 161 Davis Rd in Bangor, Maine as usual from 4:00-7:00 PM. Please note that Heavy List loaner gear will not be available; rapier combat loaner gear will be available as usual. If you usually borrow heavy list gear for practice please do not feel dissuaded from attending practice as out of armor drills can still happen! If enough people show up for heavy list there will be an impromptu infantry practice. Please note that Sunday July 2nd is the last Endewearde heavy list practice for the rest of July and the first half of August. Adult Rapier Combat WILL continue to run this summer at this location unless a cancellation is announced here or on the Endewearde facebook discussion group. Tuesday July 4 (Independence Day): Archery practice in Bangor is cancelled. Tuesday July 4 (Independence Day): SCA participants from the Canton of Basingestoches will be marching in the Bar Harbor parade followed by a demonstration of SCA combat and activities at the Ball Field in Bar Harbor. You can learn more details about how to participate in the parade and SCA demo by visiting Bar Harbor July 4th 2017 Parade and Demo. Wednesday July 5: Thrown weapons practice in Hermon is cancelled this week. Thursday July 6 – Sunday July 9: Please visit our neighbors in the Province of Malagentia at Great Northeastern War in Hebron, Maine. Sunday July 9: Combat practice and the medieval crafts gathering are cancelled at the Bangor Housing Authority site in Bangor, Maine. Would you like to learn how to sew your first SCA tunic? There will be a workshop for those who are new to sewing or who would like assistance in making clothing appropriate for the SCA (roughly covering the time period 600-1600). If you are using GPS for directional help please enter State Street in Ellsworth. You can learn more about this workshop by viewing the workshop announcement on the Canton of Basingestoches website and by following discussions on the Garb Workshop facebook event page. Plan to bring prewashed material, thread, and clothing that makes it easy to try on your new garment for fittings and adjustments. There will be folks available who will help turn you turn that flat fabric into a new fitted garment! Plan to bring your own lunch or snacks. This workshop is free and is open to anyone who wants to learn how to make SCA garb. We are one month away from the Feast of Saint Sylvester. Here are some important information updates for the event. The deadline for the Reservations Clerk to receive your payment (via postal mail service) to reserve your seat for the evening feast is Tuesday, December 27, 2016. Our Exchequer and Reservations Clerk, Master Godric of Hamtun would like to share the status of available seats for the delicious feast as of December 4, 2016. We have 26 confirmed reservations and 10 more potential reservations (based on email correspondence indicating “the check in is the mail”). Right now we potentially have 36 of our 75 seats reserved. Reservations for the feast are still being accepted. Please visit the event website for registration fees and the Reservation Clerk’s postal mailing address. The official website for the event can be found on the Canton of Basingestoches website under Feast of Saint Sylvester. Information about the feast menu, day schedule, activities and other general details are presented on this event website. Specific information about the Baronial Arts & Sciences Championship is found through the Barony of Endewearde website under Barony of Endewearde Arts & Sciences Championship. Specifics about how who is eligible to enter, how entries are evaluated, score sheets, research aids, and any other information related to how the championship competition will be conducted are presented there. The East Kingdom Calendar event Feast of Saint Sylvester / A&S Championshipis an official SCA event announcement but contains an earlier and more concise summary of essential event details. It redirects the reader back to the event webpage on the Canton of Basingestoches website for expanded details. Both the Feast event webpage and the Arts & Sciences competition page cross link to one another as official event pages in the Barony of Endewearde. Both also contain a link to the unofficial facebook event page Feast of Saint Sylvester / A&S Championship which is publicly accessible to those who choose not to join facebook. You may find it useful to refer to the facebook event page for last minute updates. Due to other commitments this week’s SCA Welcome for Newcomers and Project Night meeting at the home of Lord Thomas de Marr’ and Lady Lijsbet van Catwiic has been cancelled on Wednesday evening, August 24, 2016. Come by next week prepared to dive into your projects in preparation of the exciting events coming up in the Canton of Basingestoches and the Barony of Endewearde this September. Next week (August 31st) we will be making blackberry jam. Bring your own recipe and supplies or help others to learn the process. Due to scheduling conflicts, SCA Welcome to Newcomers and Project Night meetings at the home of Lord Thomas de Marr’ and Lady Lijsbet van Catwiic have been cancelled on Wednesday evenings of July 20 & 27, 2016. With apologies the regular weekly project night meeting at the home of Thomas & Lijsbet (Bar Harbor, Maine) on Wednesday evening has been cancelled for July 6, 2016. Please come by next week for crafts and camaraderie! Are you ready for the summer campaign season? No I am not talking about elections! I am talking about tournaments, archery, thrown weapons, arts & sciences and general mayhem! It’s time start preparing for the Great Northeastern War, Northern region war camp and the Pennsic War! Project Nights: Every Wednesday night starting June 8th from 6-9pm there will be a gathering at Lord Thomas de Marr’ & Lady Lijsbet van Catwiic’s home to work on projects. Sewing, making / repairing armor, weapon crafting, brewing, Heraldry research and good company. This is a great time for newcomers to come and learn in a smaller gathering where things are hands on. email: archery@endewearde.eastkingdom.org if you have any questions regarding archery practice. 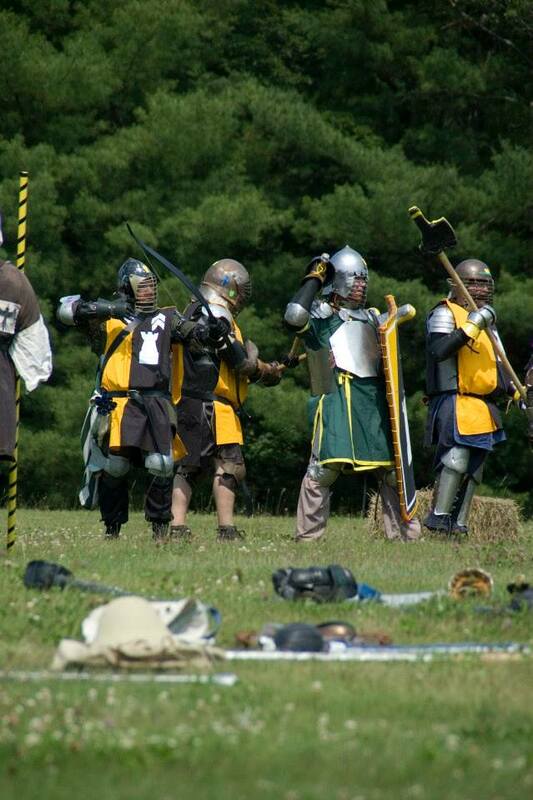 Combat Practice: The Barony of Endewearde will be holding combat practice on every Sunday from 4:00-7:00 pm at the Bangor Housing Authority Gymnasium, 161 Davis Road, Bangor, Maine. This includes Heavy List & Rapier. If this is your first visit to this site then you may wish to refer to our simplified driving directions, Youth combat will be offered at practice May 15th, June 19 & 26th. Bring your sewing machines or even just your fabric! Learn ot make a basic T tunic or work on something more advanced. This will be a potluck luncheon event. Our goal is for those learning to bring fabric and go home with a tunic they made. Also a great place to make gambesons for the fighters out there! Come hang out, learn, teach and encourage. SCA Project Night in Bar Harbor has been cancelled for Tuesday, March 15, 2016. Please look forward to next week’s project night and start planning to attend the Garb Workshop on Saturday, March 26, 2016 at the Mount Desert Island High School in Bar Harbor, Maine.